Aside from mothers and cubs, bears tend to be fairly solitary (if mainly non-territorial) beasts, but naturally males and females need to get together to conjure up the next generation. All but one of the world’s eight bear species tend to mate within a specific window, during which males – also called boars – roam about their home ranges in search of females, or sows, which typically couple with multiple males to maximize their chances of successful fertilization. Bears are among the mammals exhibiting delayed implantation, which means a fertilized egg stays dormant for several months before implanting in the uterus – a reproductive strategy intended to time cubs' development with prime food availability. Brown bears, American black bears, Asiatic black bears, sloth bears, giant pandas and polar bears all generally breed between spring and early summer and give birth the following winter. The spectacled bear of South America also tends to mate in a given window so its births to correspond with peak ripening of its preferred fruits. Delayed implantation appears to allow this bear to respond, if necessary, when the ripening timetable gets thrown off, for example, by El Niño climate phases. The sun bear of the Southeast Asian tropics, by contrast, doesn’t appear to have a specific breeding season. Male bears, or boars, may fight over breeding rights, though generally size and previously established dominance are enough to minimize physical conflict. 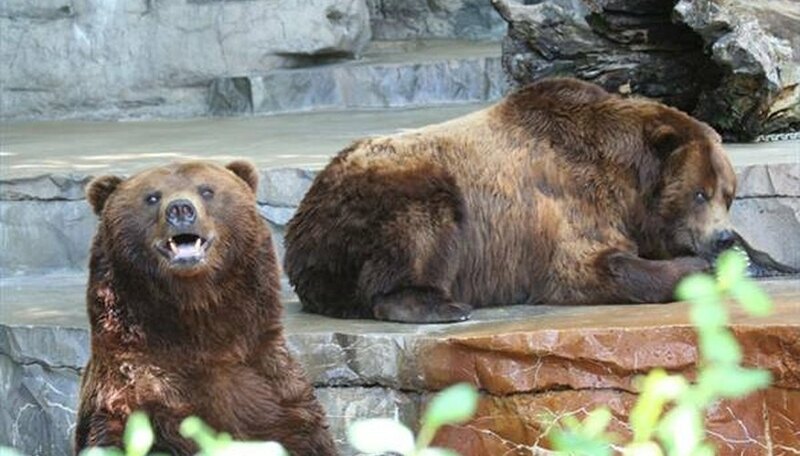 Brown bears – the main North American subspecies of which are called grizzlies – typically breed between May and early July, a mating season lasting roughly 2.5 months. Photoperiod – the relative amount of daylight in a 24-hour period – helps stimulate production of reproductive hormones, which are integral to the process of bears mating. Males actively seek out receptive females and, upon finding one, may accompany her for as long as several weeks. Boars often strive to restrict the movement of females they’re consorting with – likely an attempt to maximize the male’s chances of being the father of that sow’s cubs. In Spain and in the North American Rockies, at least, some evidence suggests brown bears in certain populations may use specific mating areas year after year: possibly a solution to the practical problem of finding receptive mates across large home ranges. Male American black bears similarly roam about seeking receptive sows within their home ranges; sows also travel more widely than usual. A study on Long Island in southwestern Washington’s Willapa Bay showed that boars monitored sows during the breeding season to determine receptivity, and those sows at the peak of estrous typically had multiple males tagging along, the most dominant in closest association. Distracted by tracking sows and perhaps occasionally coming to blows with other boars, male black bears often don’t feed heavily during breeding season and may lose significant amounts of body weight. Polar bears, the most carnivorous of bears, not incidentally inhabit the harshest environment of all: the pack-ice and coastal tundra of the High Arctic. In spring, males track down females by following scent trails and pawprints; like grizzlies, they may “sequester” females in estrous in restricted areas to bolster their chances of siring cubs. A study of two sub-populations of polar bears in Baffin Bay and East Greenland showed females in the spring breeding season traveled in more linear fashion across larger areas than males, which tended to loop around smaller geographies. The researchers suggested this discrepancy could be a function of female bears basing their movements around the hunting of seals, and more mating-focused males limiting their travels to intercept females and reduce conflict with other boars. These varying behaviors leading to interactions is crucial to successful polar bear reproduction. After delayed implantation, the polar bear gestation period is quite short: just three or four months. Theriogenology; Fercal Steroid Analysis for Monitoring Reproduction in the Sun Bear; Franz Schwarzenberger et al. 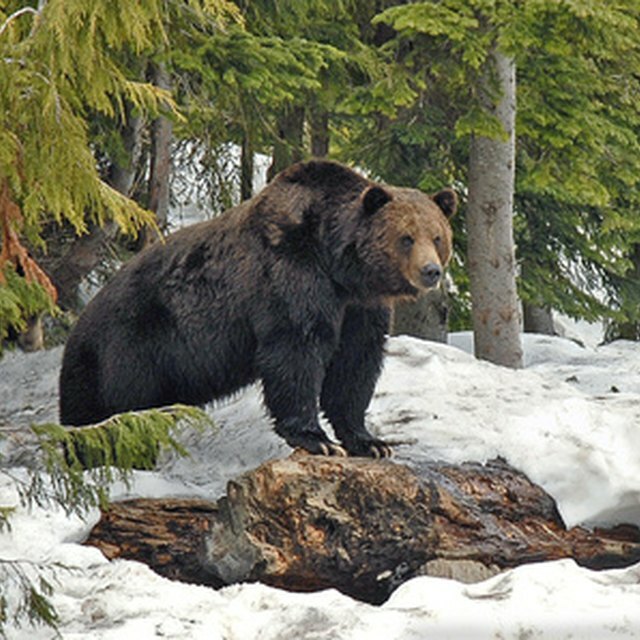 Mammal Review; The Mating System of the Brown Bear, Ursus arctos; Sam Steyaert et al. Proceedings of the Royal Society B; Females Roam While Males Patrol: Divergence in Breeding Season Movements of Pack-Ice Polar Bears; Kristin L. Laidre et al. Shaw, Ethan. "How Do Bears Mate?" Sciencing, https://sciencing.com/bears-mate-4567916.html. 13 August 2018.